I bet a job being friends with a prince doesn't sound too bad right now, with a free education and a chance to form a strong bond with royalty, not to mention a standard of living fit for the queen (quite literally). So what's the catch? "Whip thee!" Exclaims Tom Canty in Mark Twain's The Prince and the Pauper. "Why should he whip thee for faults of mine?" And indeed at first glance it can be difficult understanding the logic behind the court's punishment system. It was widely believed that the only person who could punish a prince was his father, and he was often too busy ruling the country to get bothered with that sort of thing. Instead, tutors would introduce a boy for the prince to become friends with, and whenever the prince misbehaved that friend would get the punishment while the prince watched. The practice can be traced back to at least the 17th Century and Charles I. The prince's tutor started bringing his nephew, William Murray, who was about the same age as the young royal, to lessons at the court. 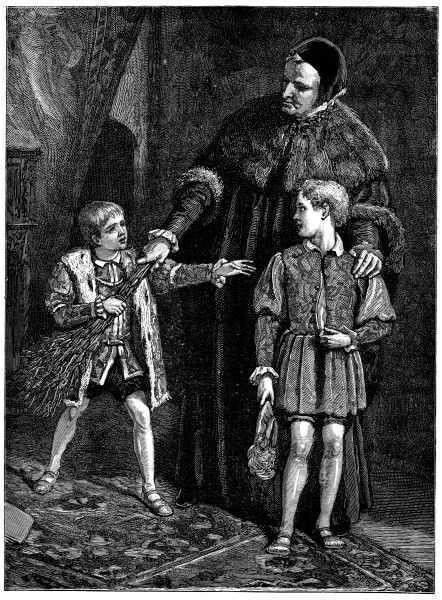 The two became close friends, and, inevitably, William became the prince's whipping boy. Perhaps to make up for the punishments, Charles made sure that William was well provided for later in life. William received an Earldom from Charles in 1643, though it wasn't recognised by the great seal until 1651, when Charles II gave William the title of first Earl of Dysart.